The premises are located in Station Road, Tidworth opposite the Tesco Superstore. Tidworth is an important and growing Garrison Town with a population of 10,621 (2011 Census) on the Hampshire/Wiltshire borders about 8 miles north-east of Amesbury, 10 miles west of Andover, 15 miles north-east of Salisbury and 4 miles north of the A303 dual-carriageway. Ground floor lock-up shop/office with heating, lighting, accessible WC, kitchenette/staffroom, 2 rear parking spaces and ample free parking nearby. These figures include the one-third reduction recently introduced by the government for the period 01/04/2019 - 31/03/2021. 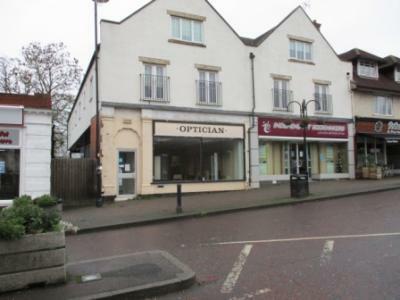 To be let on a new FRI lease for a period to be agreed at a commencing rent of £14,500 pax plus VAT.